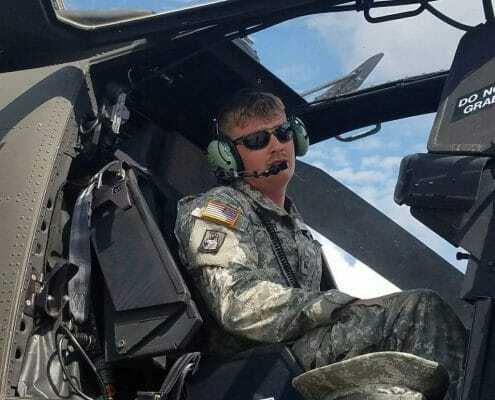 Sergeant Paul Lee Lassiter, II is an Apache Helicopter Mechanic in the NC National Guard located in Morrisville, NC. As a dedicated serviceman, he has been in the military for 12 years. He has received quite a few awards for his service, including the Army Commendation Medal, 7 Army Achievement Medals, the Iraq Campaign Medal, and the Good Conduct Medal. SGT Lassiter served a tour of duty in Iraq during Operation Iraqi Freedom after the terror attacks of September 11th, 2001 on the United States. Growing up, SGT Lassiter didn’t “know” that the military was his destiny. Upon turning 18 years old, though, Lassiter had a decision to make. He could either continue his studies by going to college or enlist in the military. He chose the military because he felt it better suited his personality and his goals in life. He was able to continue his passion for fixing things while supporting the country he loved. It has been an excellent fit for him. SGT Lassiter is a loving husband and father to three young children. He and his wife, Jessica, live in Middlesex, a small NC town not far from Raleigh. 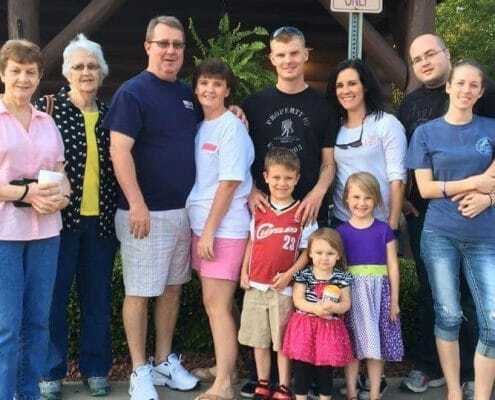 They have lived in their lovely home for ten years with their son, Cameron, and their two daughters, Kaylee and Aubree. 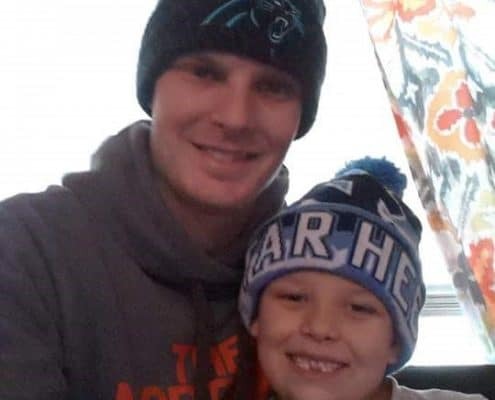 When asked what the hardest part of serving in the military was, SGT Lassiter responded, “Leaving behind my family.” Though SGT Lassiter was home for the birth of his son, Cameron, he had to leave when he was only nine days old. Coming home to see the seven-month-old while on R&R was his fondest memory of his time in the military, a reunion he will never forget. During his free time, SGT Lassiter enjoys spending time with his family. He loves to teach different sports to his children while teaching them the values that come with working hard and being a team player. Being good with his hands, Lassiter is regularly found fixing things around his home and working on vehicles in his spare time. He also enjoys bowling and playing golf with friends. The military has been a very positive experience for SGT Lassiter. He claims it has made him the man he is today. Likely the biggest lesson he has learned in the military is how to deal with all sorts of people. That lesson has helped him in many aspects of life, both in the military and otherwise. Lassiter has carried his hard work ethic with him throughout his life and military career. 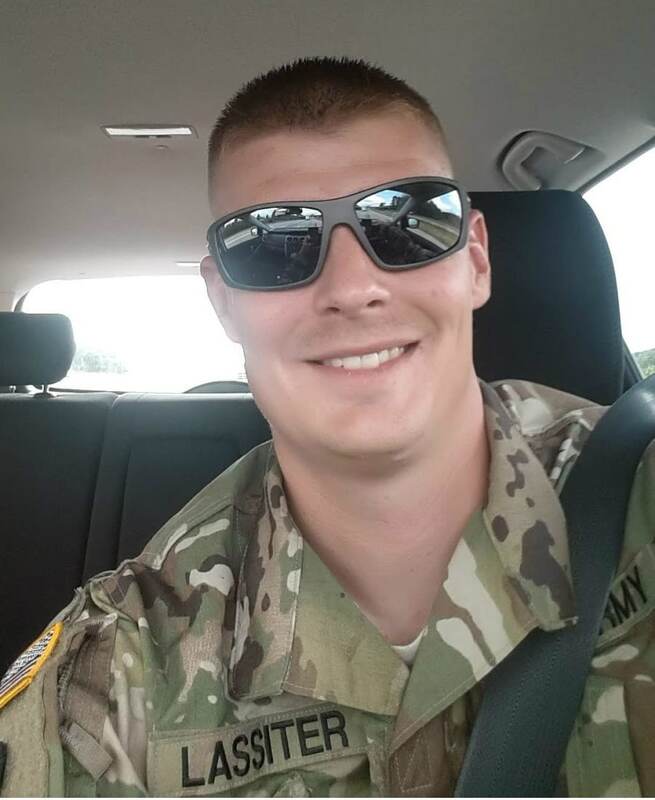 When asked his favorite quote, he answered, “What doesn’t kill you only makes you stronger.” He believes that to get anywhere in life takes hard work and dedication, qualities that he exemplifies in the military and at home. SGT Lassiter plans to stay in the military for many more years. In fact, he plans to finish twenty years in the military. After that, his plans include “living the golfer’s lifestyle.” If he puts nearly as much effort into perfecting his golf game as he does in protecting our country, he may someday make it to the PGA. Only time will tell. As for his children’s future, he plans not to sway them one way or another when it comes to enlisting in the military when they are older. Instead, he will use his experiences to discuss the pros and cons of joining the military and then allow them to decide for themselves.